"His legacy will live on for many more generations after us"
Some of the country's biggest and most notable names in business have issued tributes and expressions of condolences at the passing of SM Group founder Henry Sy Sr. The retail tycoon passed away on Saturday morning, January 19. He was 94. 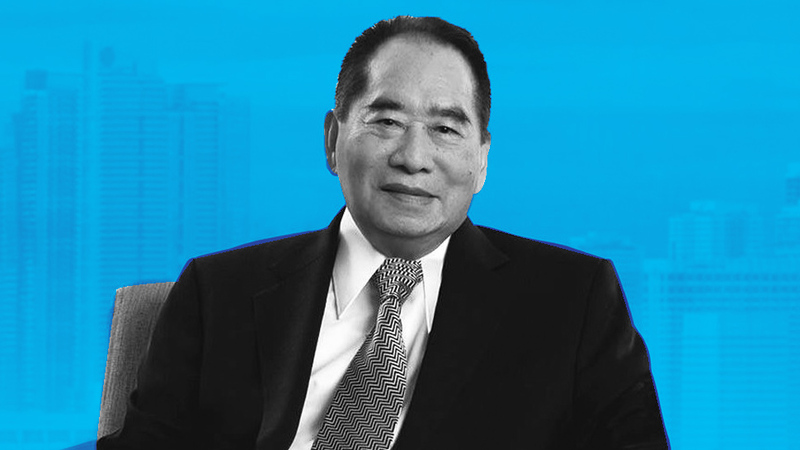 Sy, who started as a shoe seller in 1958 in Manila, became the country's richest man with the rise of his diversified conglomerate SM Investments Corp. The company has since grown to include interests in real estate, financial services, hospitality, mining, and logistics. Sy's legacy is evident in the tributes that have poured in since the news broke. "From the 1970s, I still remember when my mom would take me to Shoemart Makati in my grade school years to buy my black leather school shoes," said Lance Gokongwei, CEO of JG Summit and son of John Gokongwei Jr. "I was always amazed by the buzz of activity surrounding the blue uniformed sales girls and the numerous customers pondering the wide selection of shoes. Most impressive was the sales lady calling out the shoe model and size over a megaphone, and then rows upon rows of shoe boxes miraculously zipping down the metal chutes. "Then when I came back from University abroad in 1988, I went with some friends to the newly opened SM City North Edsa to watch movies. I remember being likewise impressed by this huge mall, which I personally found more fun and attractive than any other mall I had been to, even in the US. "Both these examples from my younger years really revealed to me that Henry Sy was always a man ahead of his time—a man who possessed both bold vision with the capacity for patient and expert action, always looking for better ways to serve his customers. By building hugely successful businesses in retail, malling and banking among others, he certainly transformed our collective quality of lives by providing world class experiences and services at prices accessible to most Filipinos. "We express our sympathy to the Sy and SM families, but we are consoled by the certainty that Mr. Sy’s legacy of entrepreneurship and philanthropy will continue to serve Filipinos through the philosophy and values he has inculcated with his family, company and foundations. "Rest in Peace, Mr. Henry Sy." Ben Chan, founder of Filipino clothing line BENCH and whose stores are a fixture in almost all of Sy's malls, said: "It is a sad moment to hear about the passing of a man whose life story has become an inspiration to many, whose life work has positively influenced our nation’s way of living, and whose own way of living is worth emulating. To Mr. Henry Sy, maraming salamat. I have built my own life work through the dream you started. We offer our prayers to you and all your bereaved members of the family." Robina Gokongwei-Pe, president of Robinsons Retail Holdings, remembered a conversation between Sy and her father John Gokongwei Jr. at the latter's 60th birthday party. "That’s why my father is still working till this day. Rest in peace, Mr. Sy." Edgar "Injap" Sia, who founded the Mang Inasal chain of fastfood restaurants and is now chairman of DoubleDragon Properties, said: "The Philippines lost a truly notable man whose story from humble beginnings inspired me for many years that great things are possible to achieve with hard work, values and dedication. In fact I named my second son, who is now 17 years old, after him. I admire most his ability to see the future and execute his vision passionately. While we are many generations apart, his legacy will live on for many more generations after us." From Xandra Ramos-Padilla, managing director of National Book Store, which is also a staple presence in almost all of Sy's SM Supermalls, said: "National Book Store deeply condoles with the Sy family and the whole SM group on the passing of Henry Sy Sr. With 76 stores in SM malls, National Book Store has forged a strong relationship with SM. He will always be remembered, as his perseverance and entrepreneurial spirit forged the path for retailers like National Book Store to grow." Ramos-Padilla's grandmother, Socorro Ramos, who founded National Book Store, fondly recalled how Sy supported her store chain even during its early years. "He’s a very nice gentleman,” she was quoted as saying in a tribute page to Sy during SM Store's 60th anniversary. “Whenever a mall would be inaugurated, he would ask me how business was. I would say, ‘It’s okay, sir. What book would you like to read?'" Dioceldo Sy, president and CEO of local cosmetics brand Ever Bilena, has fond memories about Henry Sy, whom he called Tatang, according to Sy's daughter, Denice Sy Munez. Dioceldo Sy, president and CEO of local cosmetics brand Ever Bilena, said he remembers his father sharing memories about Henry Sy, whom he called Tatang. "Dad says he remembers the days when Tatang shared with him a valuable lesson of selling to the masses. 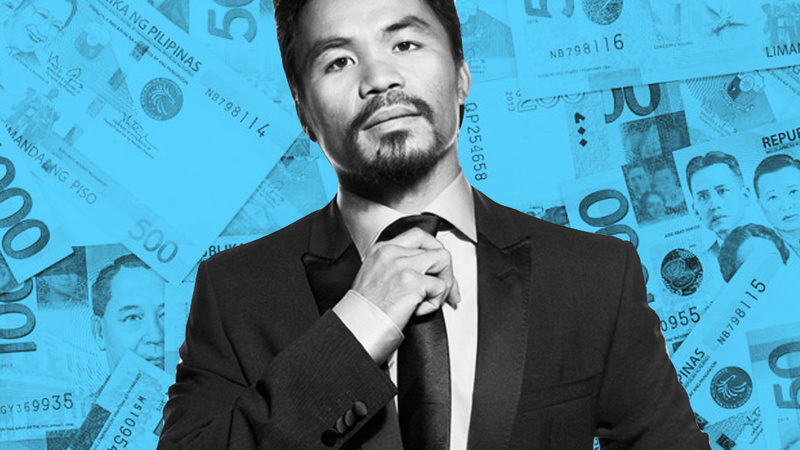 Dad said, according to Tatang, 'It’s easier to earn one peso from one million people than getting one million pesos from one person,'" said Munez. "This was way back 1979 or 1980, when he was still considering pursuing college or dropping out. "Tatang said, 'If you don’t finish college, no one will hire you.' Dad decided to take the chance since he was so young at the time. At 20-21. So he thought if things didn’t work out, he can try to go back to school if necessary. "Tatang told him to keep working hard and one day he will notice that he is already over the hill. And once you’re over that slump it will be easier. He said to keep on pushing, and you will be surprised that when you look back, you’ve already achieved so much," said Munez. "Dad remembers also visiting his Makati office at the Stock Exchange Building, and saw a preserved eagle in his office. Tatang said the preserved eagle represents his perspective in business. Because eagles can fly high and glide, and see from afar. When they see their prey (which he described as opportunities) eagles can dive down to catch it and soar back up."